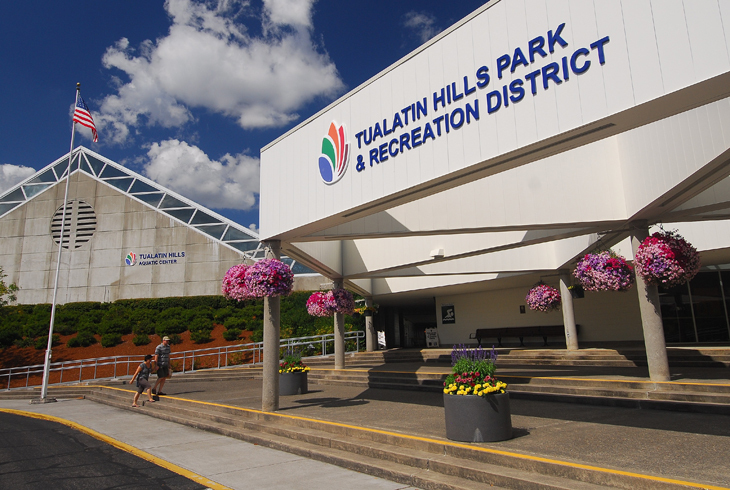 THPRD's administration office is located at the HMT Recreation Complex at 158th Ave. and Walker Rd. The THPRD Administration office is open every Monday thru Friday from 8 am to 5 pm, except for holidays noted below. The office is located at the Howard M. Terpenning Recreation Complex at SW 158th Ave. and SW Walker Rd. The Administration building is located between the Tennis Center and the Aquatic Center. THPRD observes several holidays each year, which results in closures and/or limited hours. District-wide holiday hours will be posted here in advance of major holidays.